And recieved all Stevie's news, site update by email. Stevie talk about the song "Happy Birthday" which he dedicated to Martin Luther King. 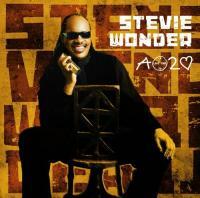 Stevie Wonder new Single ! "SO WHAT THE FUSS" is the largest overall "Gainer" In history of Billboard's Adult R&B Chart! Featuring Prince on guitar and En Vogue as the guest background vocalists!